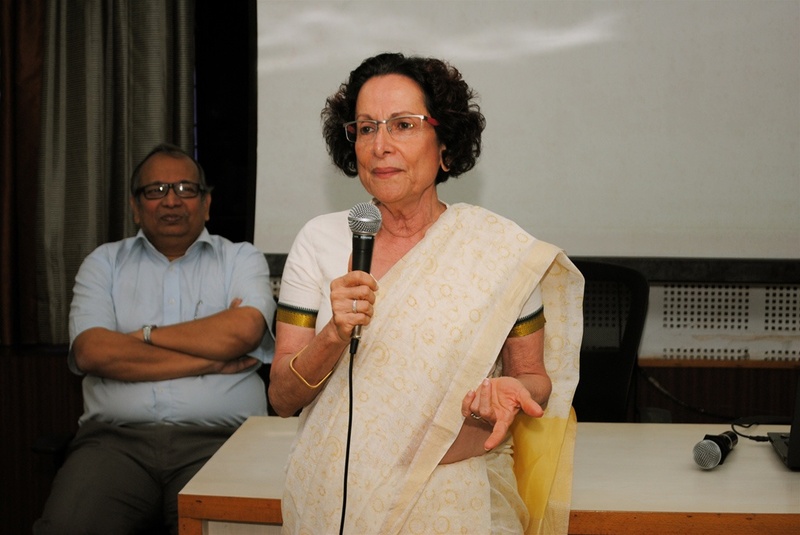 A special lecture by veteran columnist, Bachi Karkaria, who is associated with the Times of India, was held on 8th April,2015 at NSHM, Kolkata. Bachi Karkaria who is known to be the architect of city reporting discussed with the students the rules of reporting. She shared her invaluable experiences and views on the ‘Ten Golden Rules of Reporting’ & highly motivated the students about the true spirit of journalism. She sees the need to touch the audience humanely and at the same time make policy changes that affect the cause as the biggest challenge in reporting. In today’s world, giving credible news ethically would give an edge to newsmakers aspiring to make it big.